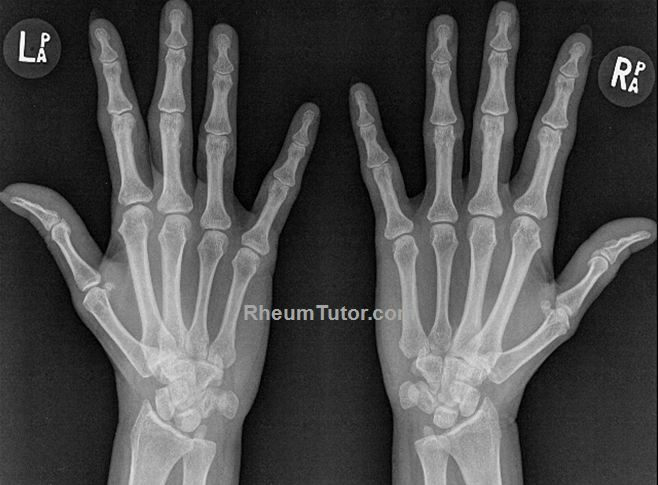 Hand radiographs are typically done in 3 views. The ABCDs approach to interpretation is described below. This is the most commonly used view for interpretation. Finger deformities may not be noticed as patients are required to press their hands down firmly against the plate, while the X-Rays are shot from above. Hands are in a “ball-catching” position. This is the best view to look for early erosions at the base corners of the proximal phalanges. 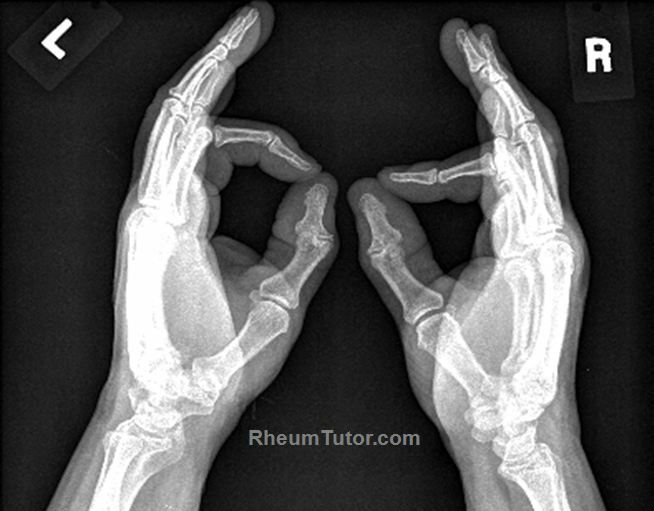 This view is mainly used for assessment of fractures and is of limited value in rheumatology. 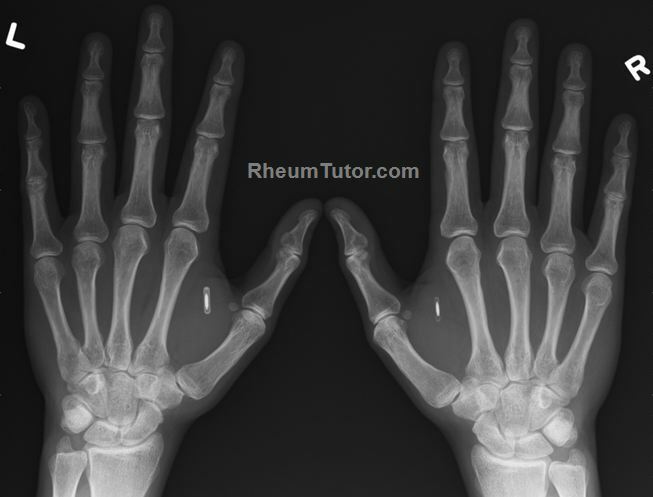 It is best to have a systematic approach to reading X-Rays of the hands. The actual order is less important, but one useful strategy is the ABCDs approach.